To view a sample order of worship, click here. Trinity Presbyterian Church follows the Common Lectionary, shared by many churches worldwide. To find the scripture readings for coming Sundays, we invite you to explore the Common Lectionary website, provided by VU Divinity Library. It is an excellent source for verses, art & prayer. 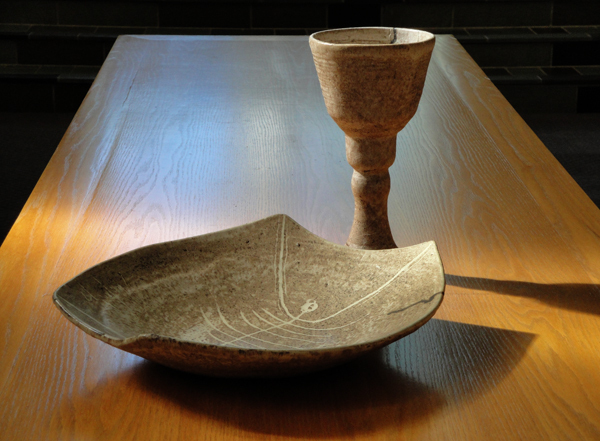 Trinity celebrates the Lord’s Supper during worship the first Sunday of every month. Communion is to all, regardless of denomination. Most Sundays, communion is received by intinction, which involves coming down to the front of the sanctuary and dipping the bread in the chalice. On some Sundays, elders will serve communion to worshippers as they remain seated in the pews. Throughout the year, we will have special services of worship. On Christmas Eve, we have a candlelight service. On Ash Wednesday, the first day marking the observance of Lent, there is a midday service in the sanctuary which includes the imposition of ashes. On Maundy Thursday, we offer a Tenebrae service with communion. On Easter morning, there is a sunrise service at 7:00 AM in the church’s amphitheater. This summer, there will be two outdoor services at 4:30 PM on the last Sunday of July and August.